Follow the exploits of a Jetsetter as she manages the unique lives of 8 of the richest, most famous, and most bizarre celebrities around the world. Being a Jetsetter takes a special kind of person. After all, it's not all fun and games (actually, it is for you!). 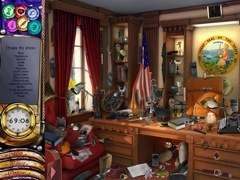 You will have to help the Jetsetter track down what her clients need in 28 unique hidden object locations, resolve their strange problems in 8 puzzle solving quests, and blow off steam while earning money in 3 casino vacation games. 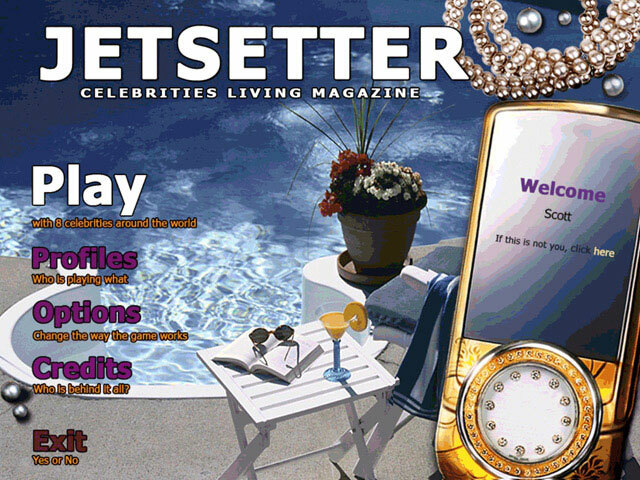 Six different power-ups allow you to call on all the Jetsetter's skills to handle even the most eccentric dilemmas. 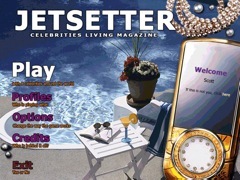 Help her pamper her clients and who knows - maybe one day she'll have a Jetsetter of her own.